We have a new healthy snack obsession at our house–Fruit-sicles! These fruit popsicles are easy enough that the kids can make them and the perfect snack on a hot day. 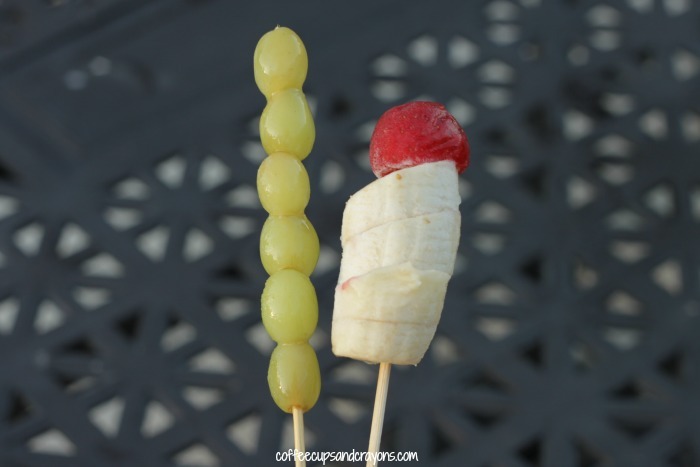 We have been eating frozen grapes in the summer for years and the kids love to stack them on skewers to make grape-sicles. A couple weeks ago we sliced some bananas and made some banana-sicles and haven’t stop making and eating them since! 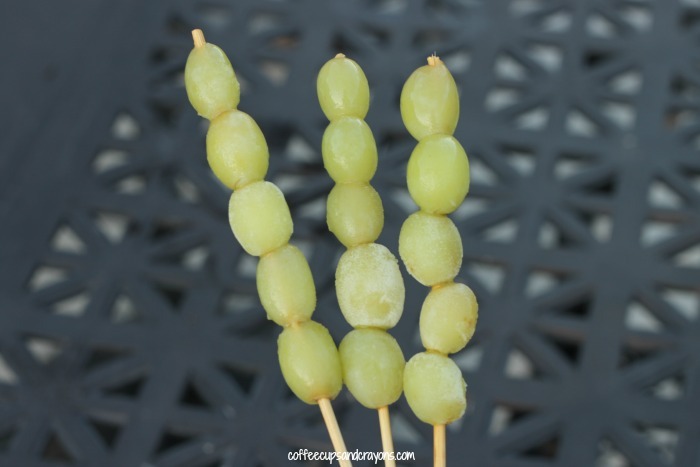 To make the grape “popsicles” you stick clean and dried grapes onto skewers. You can cut the pointy end of the skewer off if you want to also. 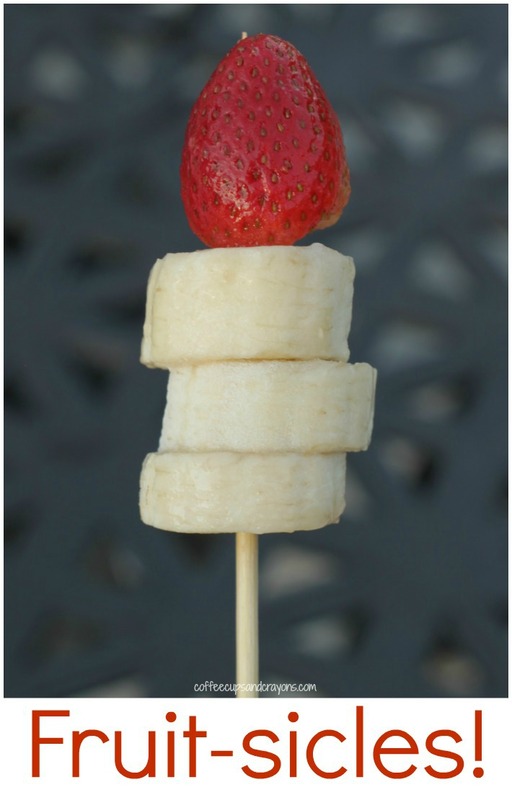 The kids cut thick chunks of banana and stick them side to side on the skewers for the banana “popsicles”. This week they got fancy and created their own version of a fruit rocket pop with bananas and a strawberry! Instead of stacking the bananas side to side they put them on top of each other with a strawberry at the end. Once you have the fruit on the skewers lay them in the container with sheets of wax paper in between the layers. When the fruit is frozen they are ready to eat! Cooking or in this case “freezing” with your kids is a great way to wind down and connect after school. Make sure to try our watermelon popsicles and rainbow yogurt pops too!